Just in time for the heatwave, Monsoon have re-stocked one of their most popular dresses, and it's the perfect pick for summer. 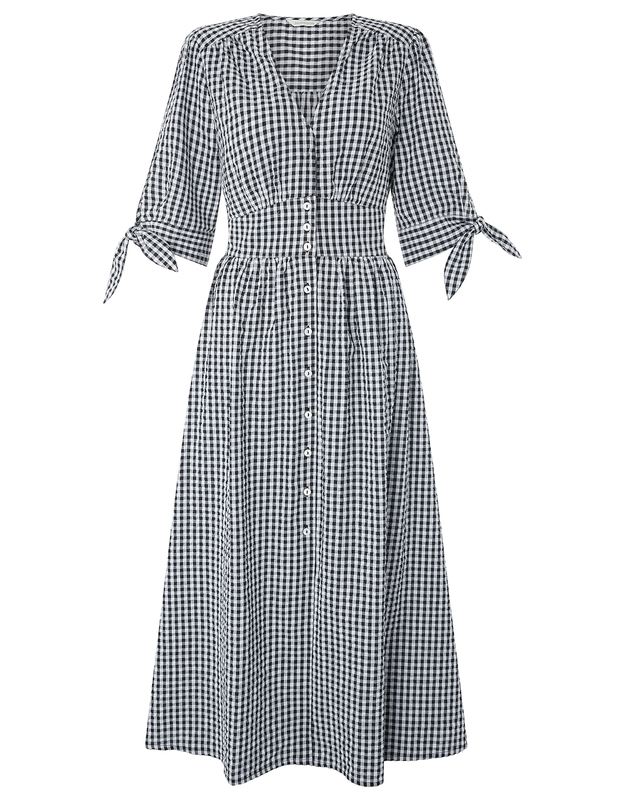 The high-street retailer has seen huge success with their Dolly Gingham midi dress, with the stylish item selling out repeatedly online and in store. It’s also gone down a storm with fashion fans and bloggers online – many of whom bagged it before it originally sold out. Customers have also flocked to the dress on the Monsoon website, to sing its praises. One happy buyer online wrote, ‘I loved this dress when it first appeared online, but silly me, I dithered and before I knew it, it sold out. Finally I spotted it…and I’m delighted with it. And now, to customers delight, the gorgeous outfit is now fully back in stock online – and available in two colours. It’s now on sale in the original, black and white gingham design, and an additional, red and white colour too. Which do you prefer? The popular Monsoon dress won’t break the bank either. At just £59, it’s a great investment for your wardrobe. It’s also a brilliantly versatile option too. Wear it to a relaxed family BBQ with a pair of simple sandals, or dress it up for the office with a pair of heels. You can even ensure the dress lasts in your collection all year round, by pairing it with a leather jacket in winter. Made with cotton fabric, the dress will also be as comfortable to wear as it is stylish to look at. 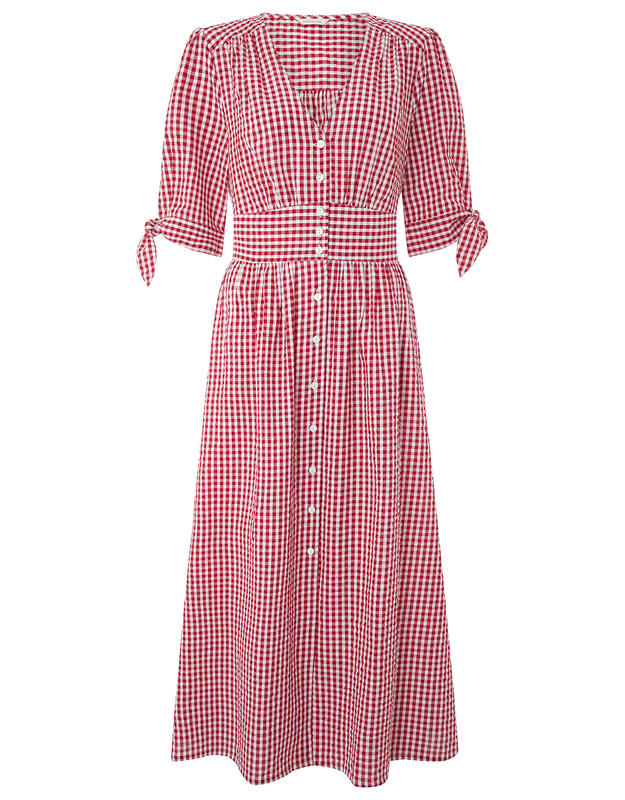 Currently, the gingham dress is available in all sizes online, in both colours. However, given how popular it’s proven in the past, you better be quick if you want one! Will you be picking this popular buy up for your summer wardrobe?